Minister of Housing and Urban Development Edmund Dillon is awaiting a report from an Occupational Safety and Health Administration (OSHA) representative before any corrective measures could be made to prevent any similar reoccurrence of Monday’s incident in which an 11-year-old girl fell from her three-storey apartment at Building 15 in Maloney. The girl Rihanna Reed is now at the Intensive Care Unit (ICU) at the Children’s Pediatric Hospital suffering from a swollen brain and is medically sedated. Doctors are yet to determine if her injuries are life threatening. 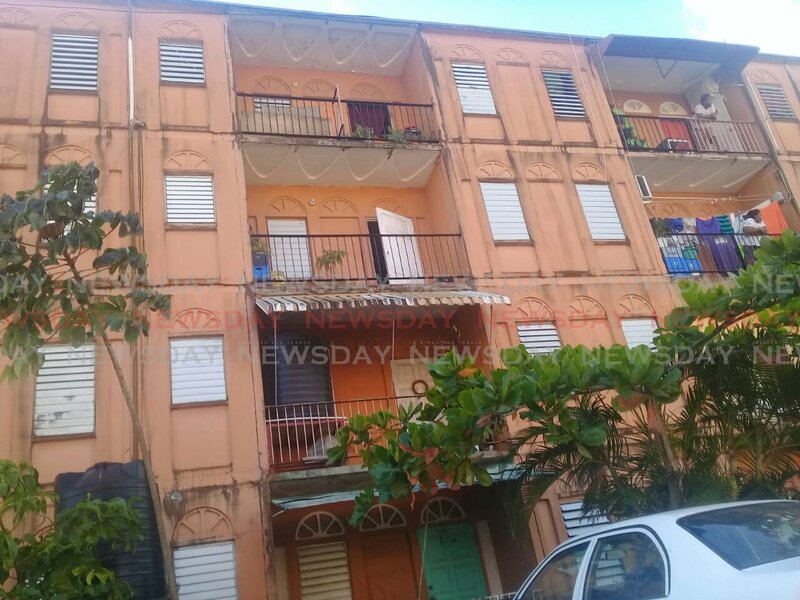 Dillon said the report and recommendations will guide the HDC on how to proceed further with taking any remedial steps at the apartment where the incident took place. He said the question of structural integrity of the building does not come into question, but the HDC took a decision to send an OSHA representative in the first instance to make recommendations if any are needed to prevent any other person from suffering the same fate as the Reed. Newsday understands that the HDC’s Social and Community Services division has also been sent to Reed’s home to assist the family with any concerns. On Monday Reed was trying to climb over a balcony to get to a friend’s home when she slipped and fell. Reed’s mother Celestine had complained to HDC about the state of her apartment and even tried to get her daughter into a special needs school with no success. She is hoping that with the incident both the HDC and the relevant authorities will intervene and bring some measure of relief to her family.Minister of Housing and Urban Development Edmund Dillon is awaiting a report from an Occupational Safety and Health Administration (OSHA) representative before any corrective measures could be made to prevent any similar reoccurrence of Monday’s incident in which an 11-year-old girl fell from her three-storey apartment at Building 15 in Maloney. The girl Rihanna Reed is now at the Intensive Care Unit (ICU) at the Children’s Pediatric Hospital suffering from a swollen brain and is medically sedated. Doctors are yet to0 determine if her injuries are life threatening. Reply to "Dillon: OSHA rep sent to Maloney after girl’s fall"